Real Learning, Education in the Heart of the Home is the first homeschooling book I read. It was recommended to me by the mistress at Cottage Blessings and it is one of those books you have to keep handy. It comes off the shelf a few times a year. 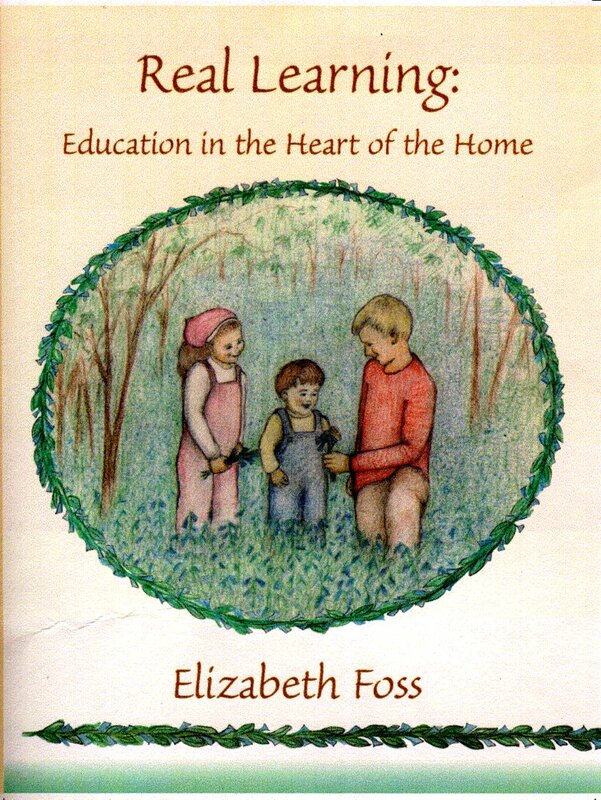 Elizabeth Foss encourages fostering a love of learning that should be the goal of any homeschool. Her book put into words what I thought the learning process should be for children and it has helped me create our own learning environment here in the Bonny Blue House. My way is not her way but the foundation is similar. I have gotten to know Elizabeth a bit through the CCM list and the 4Real Learning boards. She is a wonderful source of inspiration; concrete, practical help and has an encyclopedic knowledge of homeschool resources. She is a lovely lady. Now we can keep up with her wisdom on a more regular basis as she has joined us here in blog world. Check out her Real Learning blog. It is a welcome addition to a wonderful community.